With its 27.5inch wheels, 120mm of travel and singletrack honed geometry, the Orange Clockwork 120 is the choice for those looking for a potent blend of quick handling and rapid acceleration. 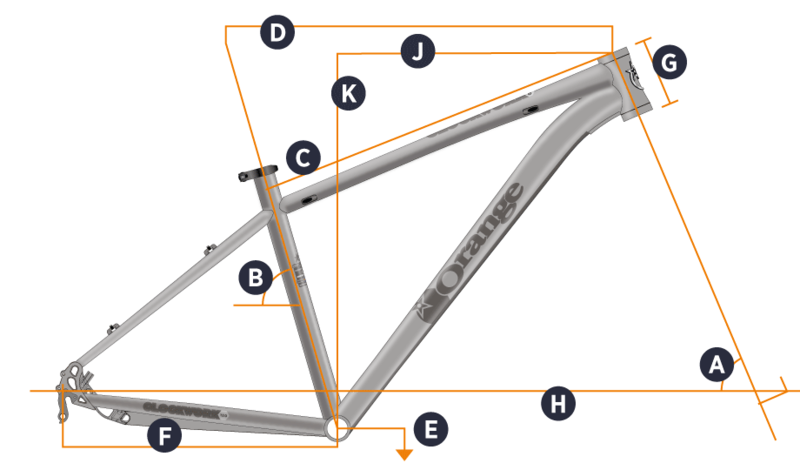 For 2017 the front triangle gains a little reach and a shorter stem brings the bar to the sweet spot of perfect trail control. With the riders weight nudged a degree forward the Orange Clockwork 120 brings even more confident handling than ever before into the mix. It's a bike that alive when fired down twisty trails but is just as happy when you want to take it easy and enjoy the view. A light but stiff frame coupled with 27.5inch wheels makes for a responsive and engaging ride, whether that’s a quick blast round the local woods or epic voyages into the wilds. Sunset offers the 2017 Orange Clockwork 120 S 27.5 hardtail mountain bike with up to 24 months 0% finance and free delivery.